Congratulations to the winners of the Affiliate Competition for both Week 4 and for the Monthly Competiton! This week’s prizes went out to the top 14 spots because of ties. 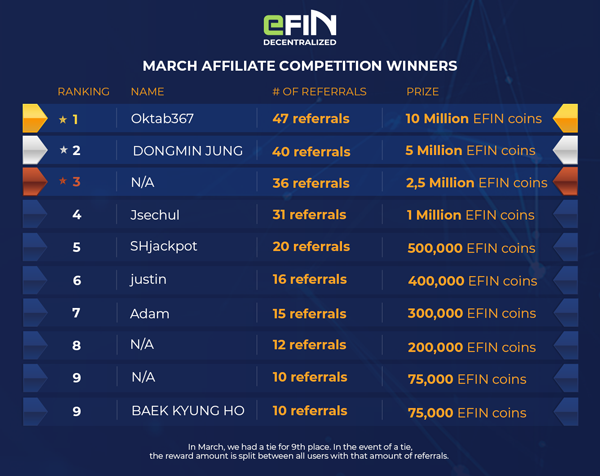 Our affiliates racked up huge amounts of EFIN coins in March. EFIN coin rewards distribution will begin soon. April’s Affiliate Competition prizes will be even better … stay tuned over the next few days for details. You should be! 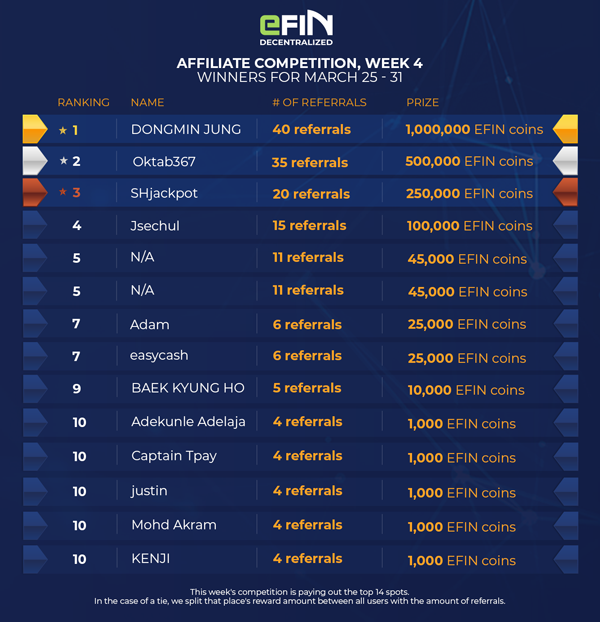 Beginning yesterday, stakers that have registered at eFIN, downloaded the DEX platform and linked the wallets, have been accumulating EFIN coin rewards. These are deposited to stakers as early as next week. The staking rewards run for 12 months. Start staking now! March Affiliate Competition Winners was originally published in TokenPay on Medium, where people are continuing the conversation by highlighting and responding to this story.